Step by step help to setup your account to work with SurePayroll. We are a SurePayroll partner - if you are using Surepayroll for your payroll needs make sure to follow the steps below to integrate. 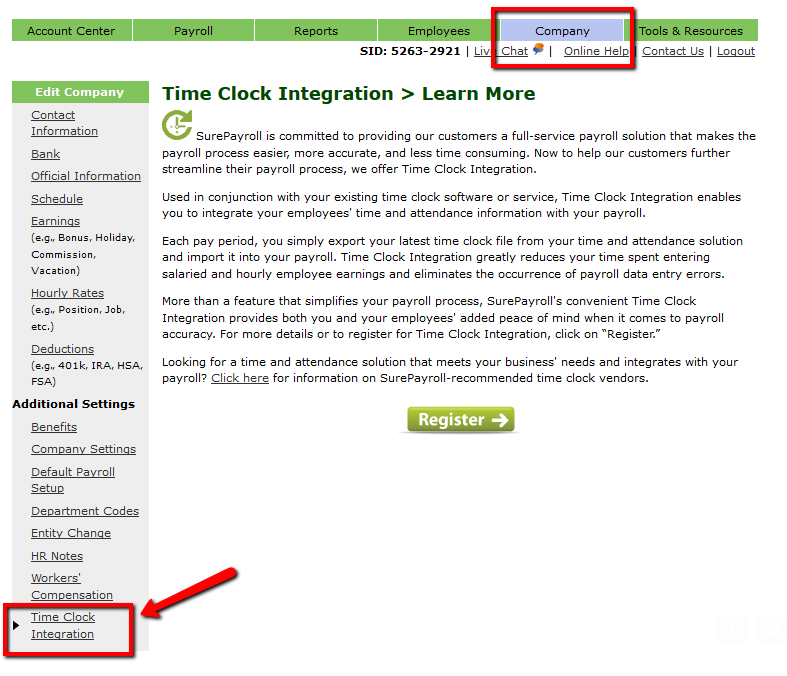 When it is time to run payroll you'll download a file from Buddy Punch that you will be uploading to Surepayroll. 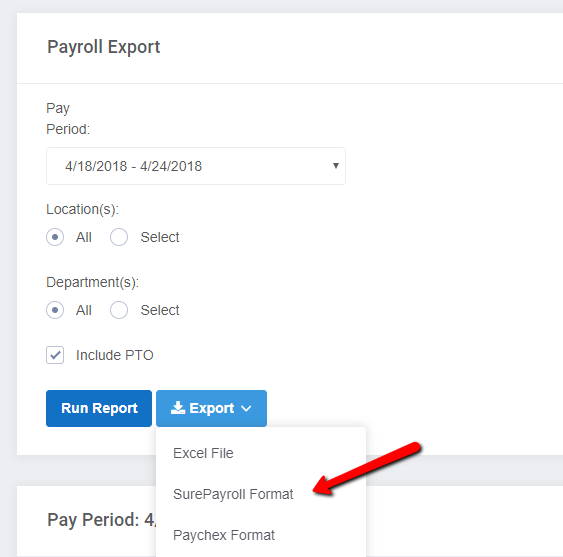 First you'll want to enable the SurePayroll Export in Buddy Punch. 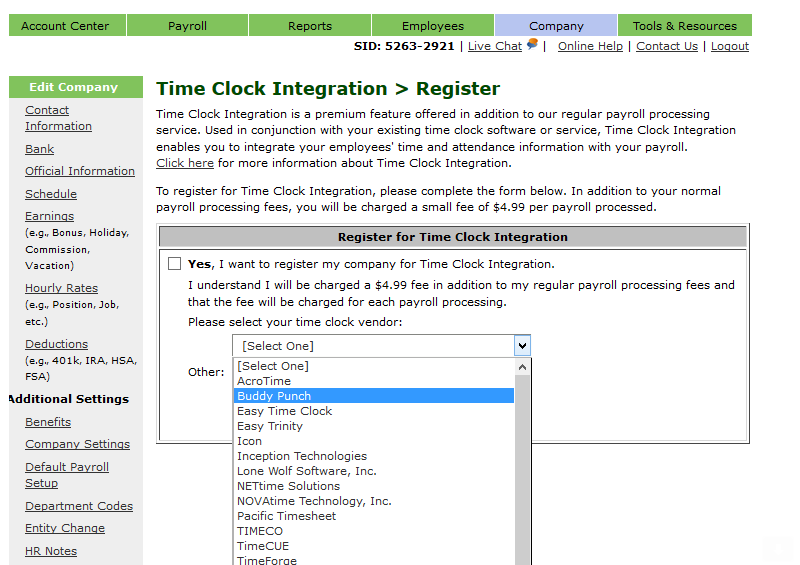 To do that sign in as an administrator and go to Settings --> Integrations and click the button that says "SurePayroll Settings." 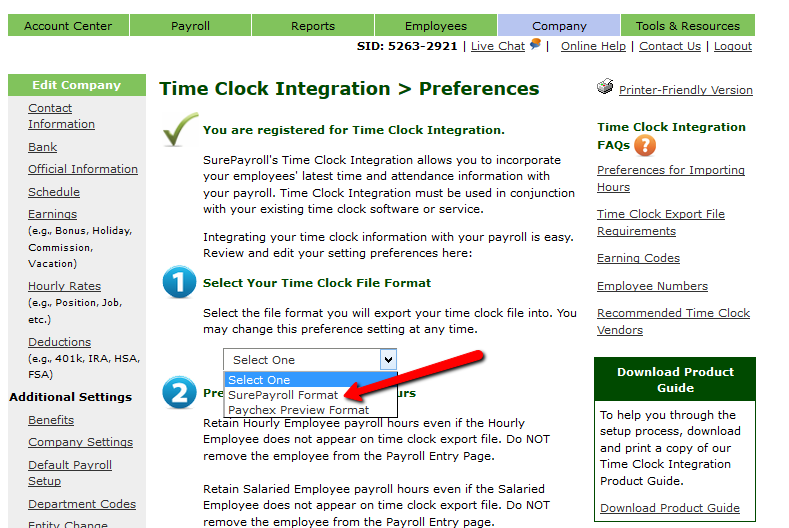 From the Account Center in SurePayroll select "Time Clock Integration." 3. In the next screen, you have the preferences. 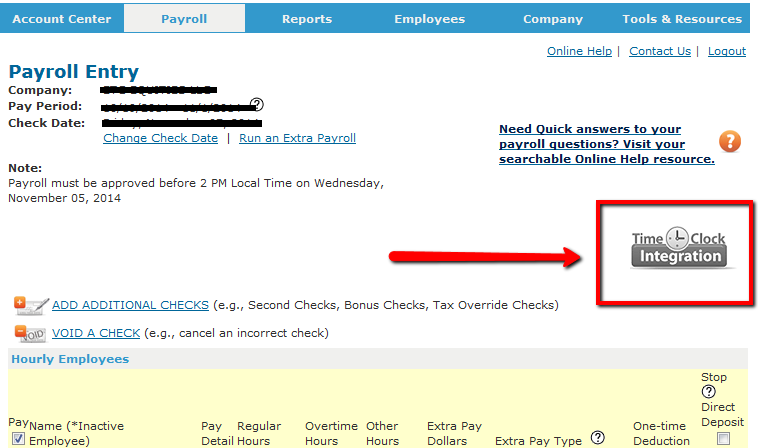 From the 1st drop down be sure to select the 'SurePayroll format' file. 4. Note that before your first import you'll want to make sure that each employee in Surepayroll and in Buddy Punch has the same ID number. 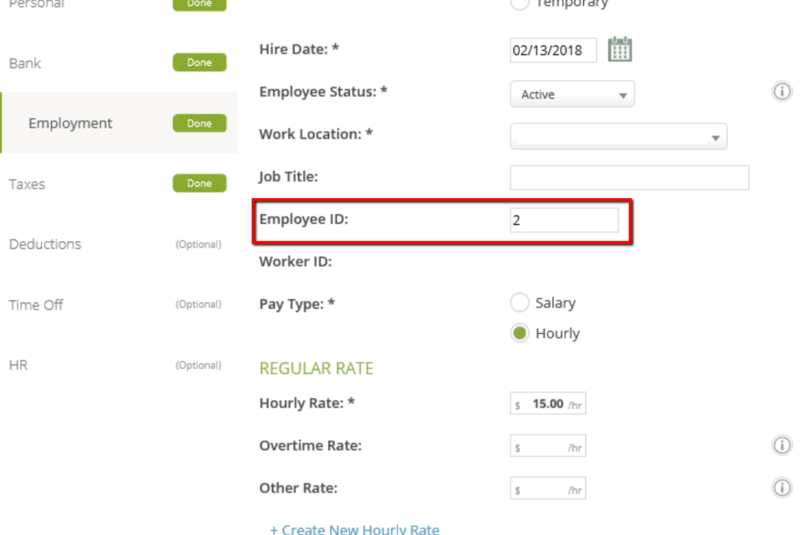 The ID number in Buddy Punch is located in the employee's profile section. It is also located in the profile section of Surepayroll. These must match to import correctly (there is a 10 character limit imposed by Surepayroll). You can then continue with SurePayroll to run your payroll. Note that the first 4 steps are for setup purposes only - after your first payroll you can just download the correct file and import to Surepayroll.